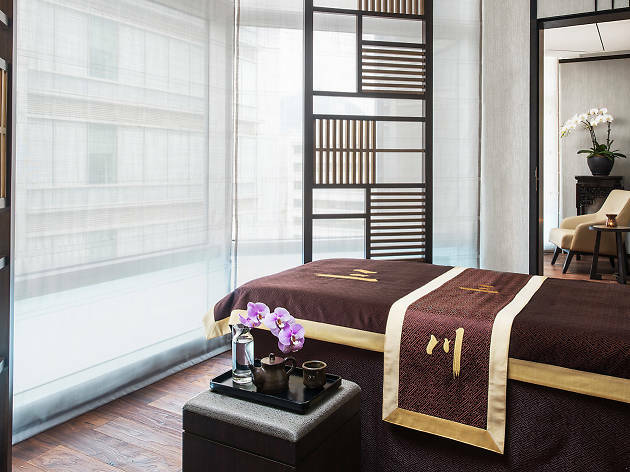 The elegance and hospitality of the Mandarin Oriental brand meet contemporary luxury and first-class wellness facilities at this sleek, modern hotel. Rooms are decorated in cool tones and personal pantries are replenished with goodies from two Michelin-starred restaurant, Amber. Another attraction is the bi-level Oriental Spa, where you can take your pick from a Turkish hammam bath, Moroccan rasul mud room, and Roman heat room. 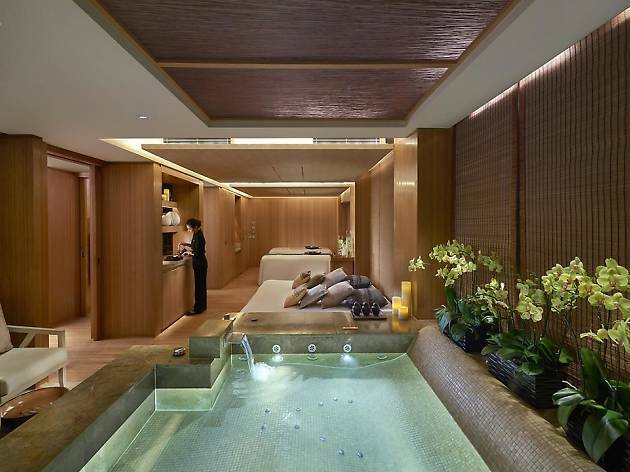 Among the other extensive amenities are an 18-metre lap pool, Bastien Gonzalez nail studio, and a heat and water oasis containing vitality pools, saunas, ice fountains and crystal steam rooms. 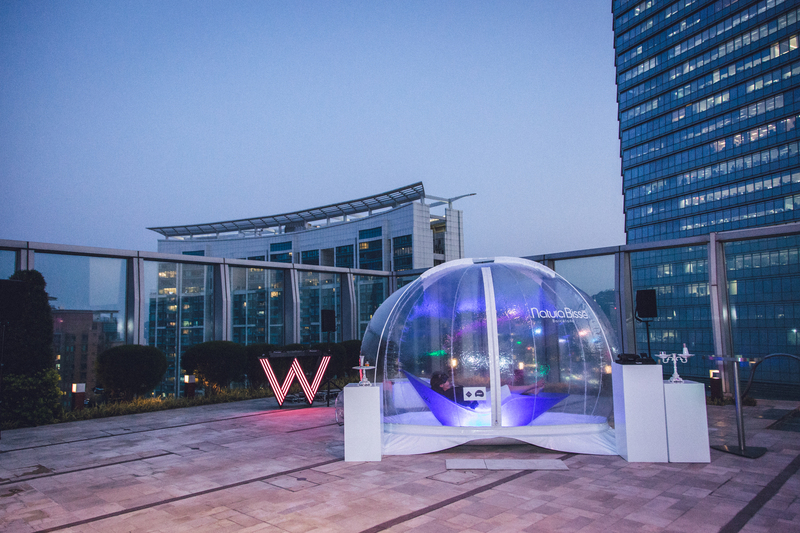 With its funky décor, summer pool parties, and on-site Bliss Spa, the W Hong Kong is aimed at a young, trendy clientele. 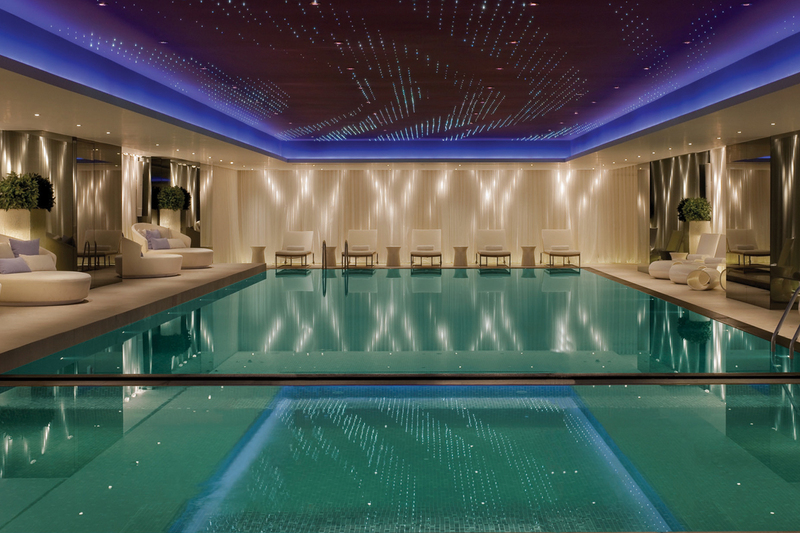 There’s a lot to love at the spa, between the tongue-in-cheek treatments (e.g. ‘No Zit Sherlock’), R&B tunes, brownie buffet, and loungers where you can watch films while receiving a mani-pedi. From now until May 31, the spa is also offering an intensive 3D Collagen Shock Facial from high-end Spanish skincare brand Natura Bissé. 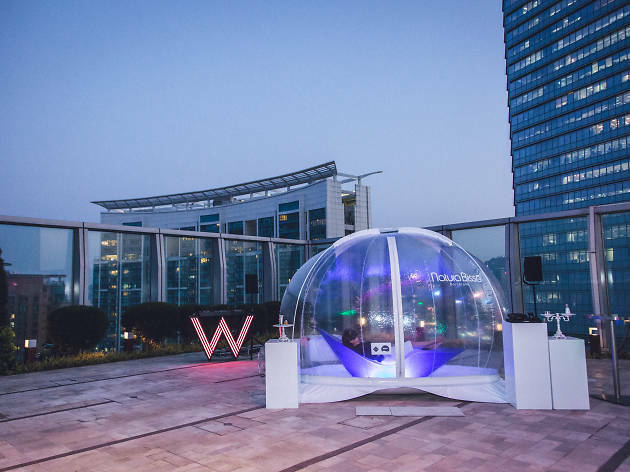 The firming facial is performed in Natura Bissé’s unique Bubble Pure Air – an enclosed dome containing 99.995 percent pure air – which is purported to combat the effect of environmental toxins and pollution, and increase the efficacy of skincare treatments. As Hong Kong’s first design hotel, the Mira is a feast for the eyes: think curves, Arne Jacobsen egg chairs, and a vibrant, eye-catching colour palette throughout the building. 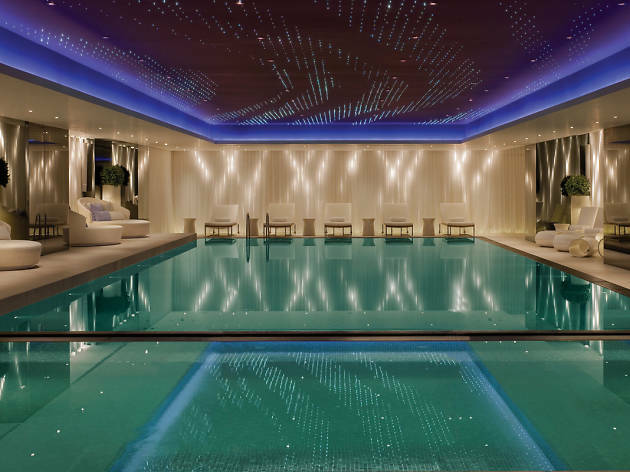 The futuristic vibe continues downstairs in the sprawling 18,000sq ft basement spa with its 25m infinity pool, steamy wet zone, and aura room decked out in colour therapy lighting. 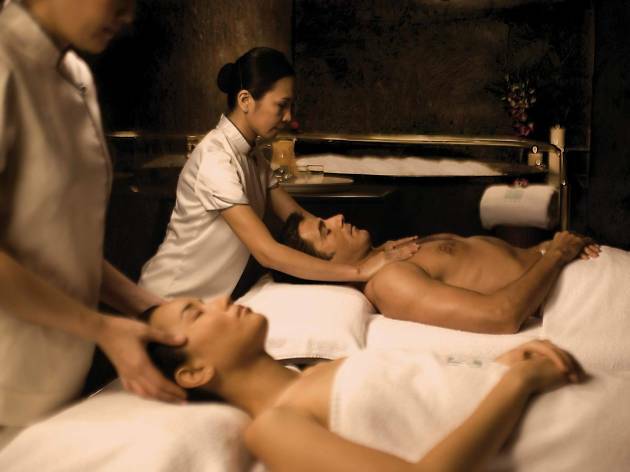 Treatments combine Asian and Western ingredients and techniques, and are tailored to each guest’s individual needs. Top off the experience by drifting off to sleep on the heated waterbeds of the floatation lounge, or make use of the nail bar and hair salon if you fancy a little primping before a special occasion. 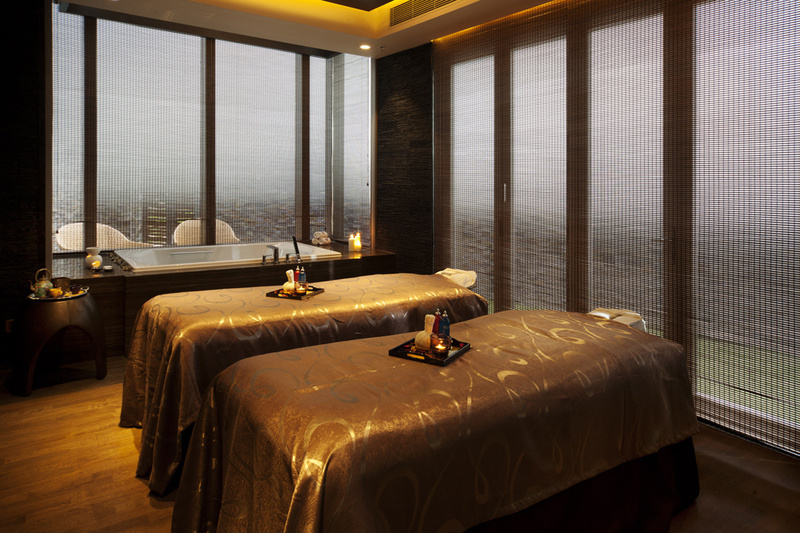 If you’re after some next-level pampering, you can’t go wrong with the super-central, super-luxurious Four Seasons. Rooms range in style from contemporary Western luxury to traditional Chinese design and are all airy, light and spacious. If you’ve already made the most of the pool terrace and its stunning views, head to the spa for one of the signature massages or facials. If holistic healing piques your interest, check out the rotation of wellness experts-in-residence who specialise in everything from reiki to yoga and even aura reading. In addition, the hotel runs a regular full moon group meditations and weekly tai chi sessions. 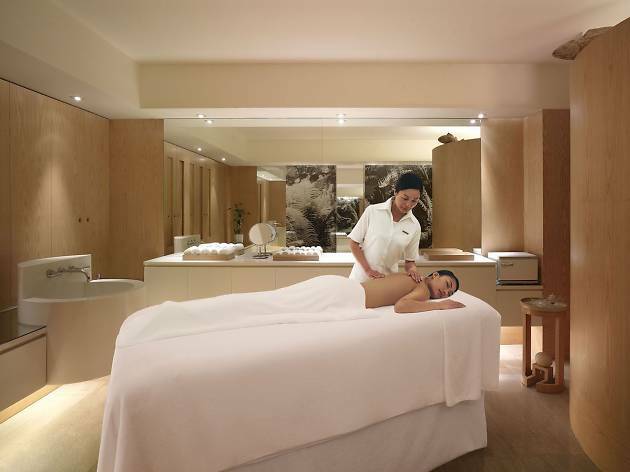 Situated on busy Peking Road, the Langham has all the convenience of Tsim Sha Tsui without any of the chaos. Like the rest of the hotel, rooms are outfitted in classic European furnishings, all marble fireplaces and silk drapes. 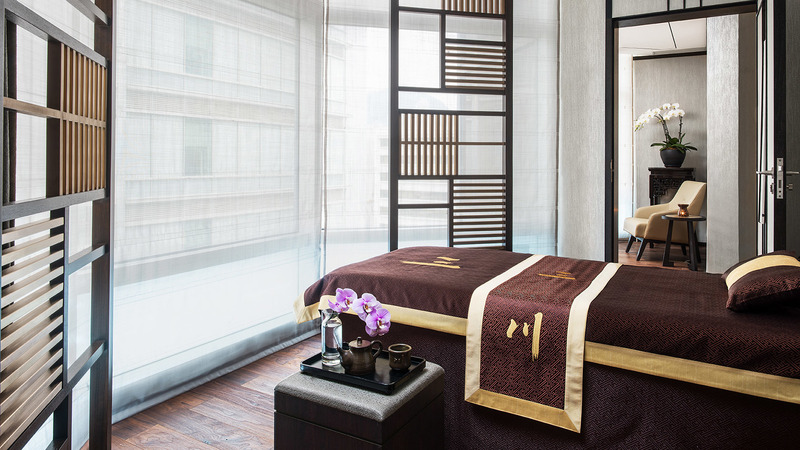 Based on the Chinese philosophy of the five elements, the hotel’s Chuan Body + Soul facility has an extensive menu of treatments based on traditional Chinese medicine, and is one of only two spas in the city that provides overnight accommodation. The signature tri-bathing ritual includes an aromatic sauna or steam, a Japanese onsen shower and luxuriating in Oriental hot tubs. Located in Tseung Kwan O, the Crowne Plaza Kowloon East may be a little further afield than other popular hotels, but it’s worth the journey (and, with the MTR, it’s hardly out of the way). It’s perfect for outdoorsy types – we recommend popping to Sai Kung for a day trip, then coming back and soaking your muscles at the in-house spa. 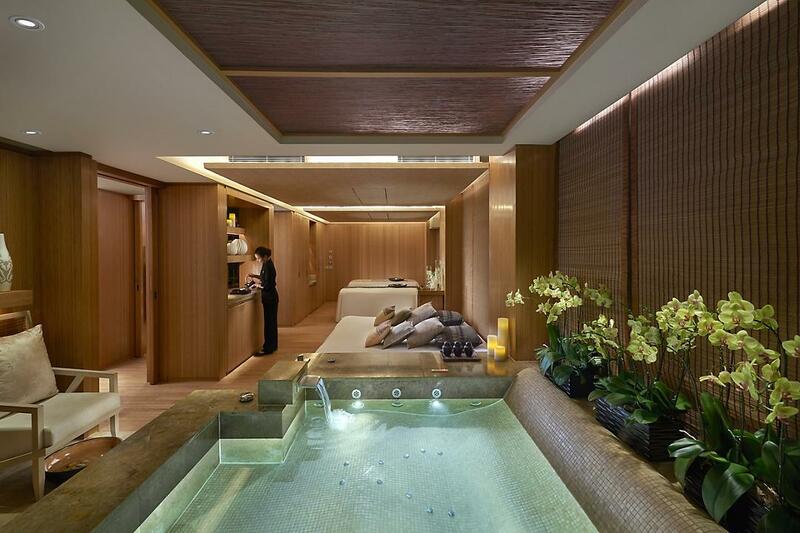 Run by homegrown spa brand Sense of Touch, the 6,500sq ft space is the only Balinese-style spa in Hong Kong and feels like a proper destination with its gorgeous tropical garden and villa-style suites. Services run the gamut from vegan body treatments to invigorating massages, rejuvenating facials, pre- and post-natal care and male grooming. 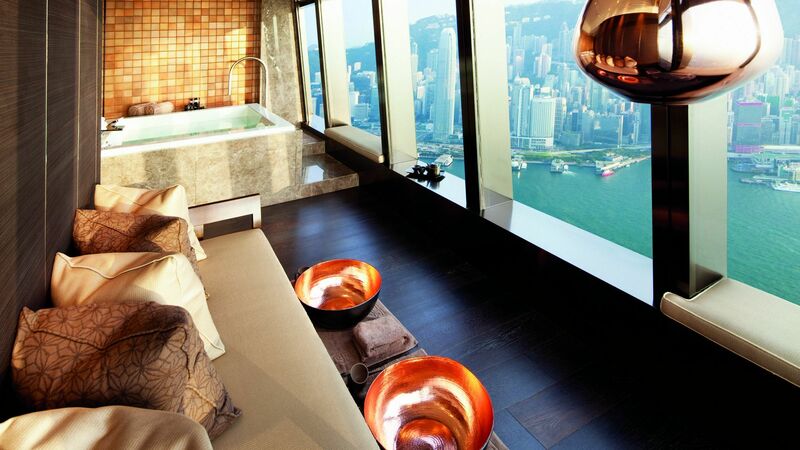 Leave your worries behind – or rather, below – you at the glitzy Ritz-Carlton in West Kowloon. 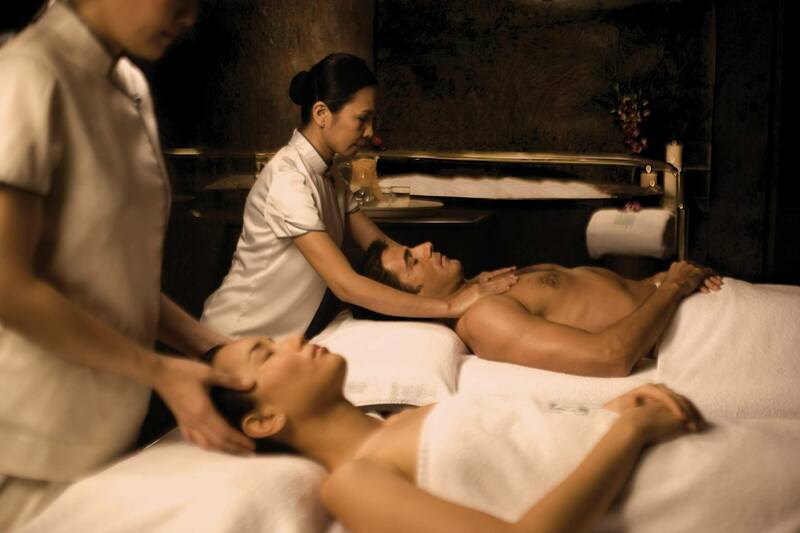 On top of having the highest bar, highest pool, and highest jacuzzi in the city, the Ritz also has the highest spa: ESPA, the only place in Hong Kong where you can get a massage while cocooned in clouds. From now until the end of April, ESPA’s offering a Renew, Refresh, Recharge facial, which utilises cryotherapy products from London brand 111SKIN and innovative massage techniques to deliver beneficial ingredients deep into the skin. This much loved grand hotel on the Wan Chai waterfront is all about maximalist old world glamour with its marble and gold interiors and opulent buffets. On top of the spacious rooms, resort-quality tropical pool terrace and many restaurants, another standout at the Grand Hyatt is the Plateau Spa, the minimalist zen haven complete with residential suites (because you’ll never want to leave). 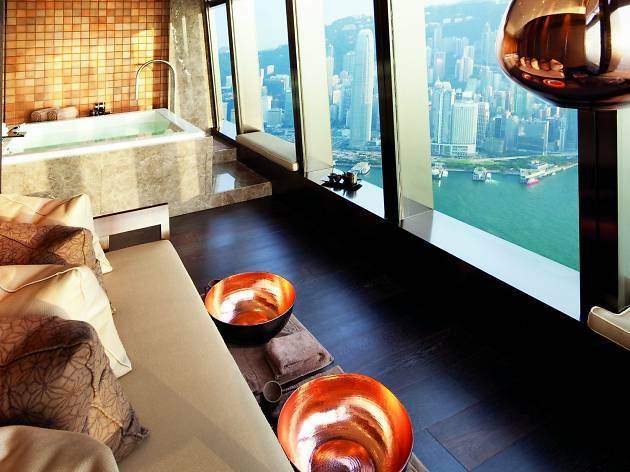 Go for the signature hot stone Plateau Massage or the lymphatic drainage Hong Kong Massage, and enjoy the panoramic harbour view from the infinity whirlpool bath. 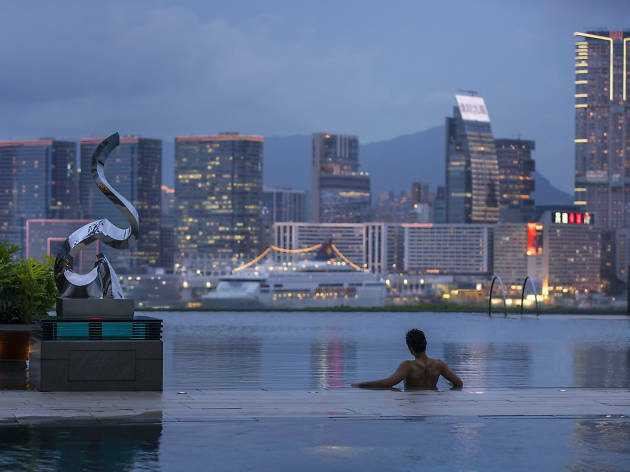 Hotel ICON has got so much going for it: stylish rooms with harbour views, one of the best Cantonese restaurants in the city, eco-friendly practices in line with modern values, and a killer spa. Run by Angsana, the trendy younger sister to luxe Phuket spa Banyan Tree, the space is decorated in a modern Southeast Asian style. 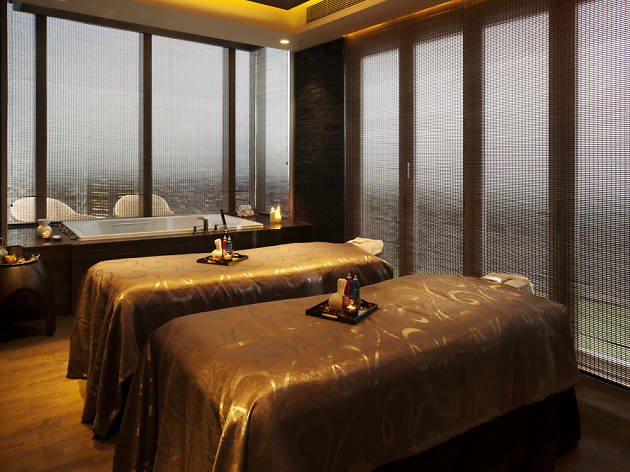 Signature treatments include the reflexology-style Angsana massage and Thai-Swedish fusion massage, and – like Hotel ICON itself – are all very reasonably priced. 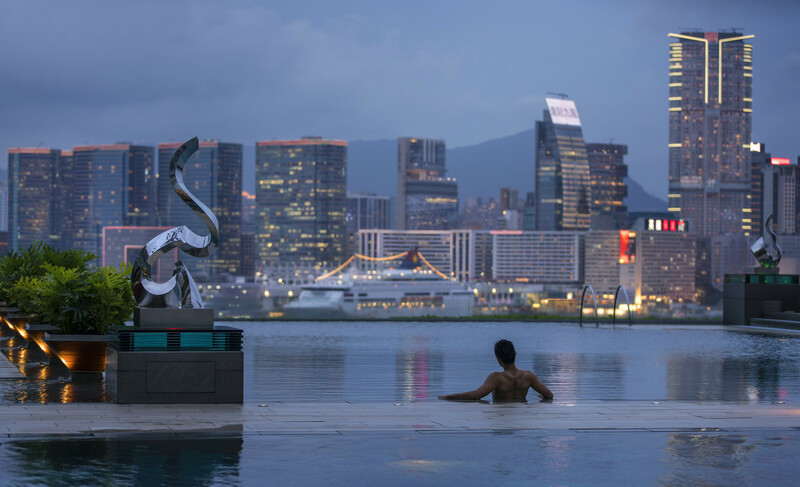 While it’s got plenty of features to boast about – Michelin-starred restaurants, fabulous service and spacious rooms – the star attraction at the Intercontinental Hong Kong is its amazing view from the Tsim Sha Tsui waterfront. If you like the famous harbour-facing infinity spa pools (and who wouldn’t? 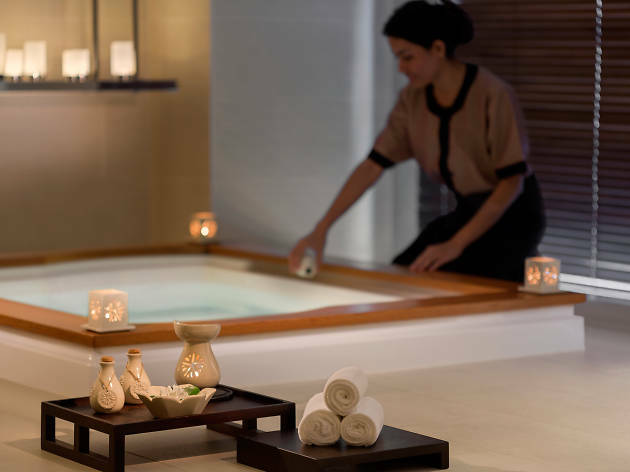 ), you’ll love the hotel’s I-Spa. 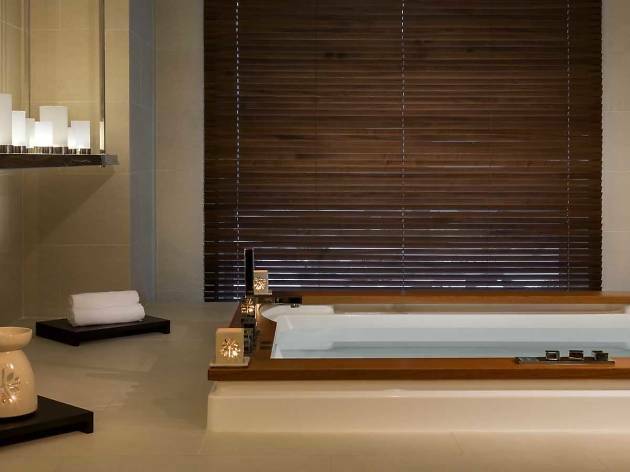 For the ultimate indulgence, book yourself into one of the all-day spa treatments in the chic private suites, which come with personal jacuzzis, steam showers, and saunas. Looking to escape the city? One of the biggest benefits of living in an archipelago – most of which is undeveloped land – is that a serene beach, scenic hike or fishing village is never more than a hop, skip and a ferry ride away. 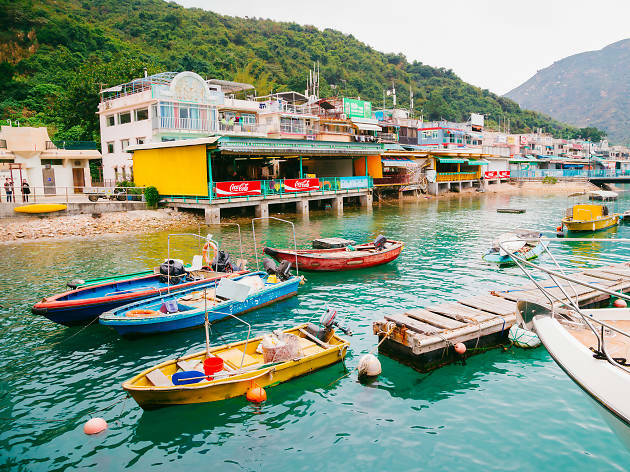 Whether you fancy sipping beers on the sand, exploring ancient rock formations, or simply walking without fear of errant elbows and eye-level umbrella spokes, there are a myriad of options for easy, breezy getaways that only take a day.